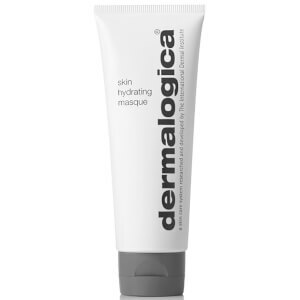 Revive your complexion with Dermalogica Charcoal Rescue Face Masque, a detoxifying face mask that works to re-energise dull, lack-lustre skin. Dedicated to rescuing tired, weary faces, its combination of activated Binchotan Charcoal and Sulfur work in tandem to powerfully absorb impurities whilst encouraging cell turnover; its exfoliating properties help slough away dulling dead skin cells to reveal bright and radiant skin beneath. Fast-acting and easy-to-remove, the mask is your all-in-one solution to illuminated skin. After cleansing, apply generously to face and throat, avoiding the eye area. After 3 to 5 minutes, lightly massage with very wet hands to enhance exfoliation properties during removal.